A map based on Republic of China (Taiwan) controlled territories today. And rough Taiwan geography for gameplay. Connection bugs fixed in Houlong in North Miaoli bonus. Connection bugs fixed in Taoyuan City in North Taoyuan bonus. 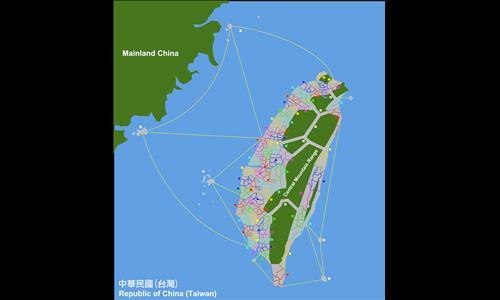 West Warlord distribution expended to northern Taiwan. Connection bugs fixed between Donghe and Yanping at Taitung. Bonus bug fixed at Yilan. Review by Nathan on 10/17/2013. Like it, love it, want more of it. Great map. The territories are exotically shaped, which makes for interesting connections and numerous chokepoints. You connect separate ends of the map with both islands and highways so that armies aren't stranded once they finish off a pocket of resistance near the edge - outflanking the enemy is a viable tactic on this map. The bonuses are a bit larger than normal, but they play well because territories are easy to capture AND easy to lose. I did see one missing connection, but can't recall where it was. With regard to the scenarios, I would like to see the West Warlords include the territories in the northwest near Taipei. Otherwise I'm afraid that whoever begins in Miaoli can take advantage of the easy opportunity for northward expansion. All in all, great work. I will be playing this map frequently. I might includes northern Taiwan in West Warlords distribution but exclude a few bonuses can easily go to eastern Taiwan. Review by Krulle on 10/17/2013. Review by TheLastStand on 1/3/2015. I rather enjoyed it. The use of out-lying islands along with the interior highway corridor make for unusual game play. Review by Shades_McGee on 11/11/2013. Review by OTPM on 2/12/2015.